Today, August 11 is Play In The Sand Day. If you have kids, or simply want to get in touch with your inner child, grabbing a pail and shovel and spending some quality time in a sandpit may not be a bad idea. Or even better, take a trip to your nearest beach and have a go at nature’s own giant sand pit – just watch out for Physalia utriculus, those innocent looking little bubbly blue organisms (aka ‘blue bottles’) that can spoil your sandy fun with a nasty, burning sting. Of course playing in the sand is not all fun and games – it can be a serious artistic endeavour. Sand sculpting has become a well-organised international creative activity – just look at some of these mindblowing examples. OK, so maybe you’re not quite in the mood for sand castles, and simply need some me-time to chill out and get quiet for a while. Well, then some playing in the sand may still be your solution – you just need to define it a little differently. 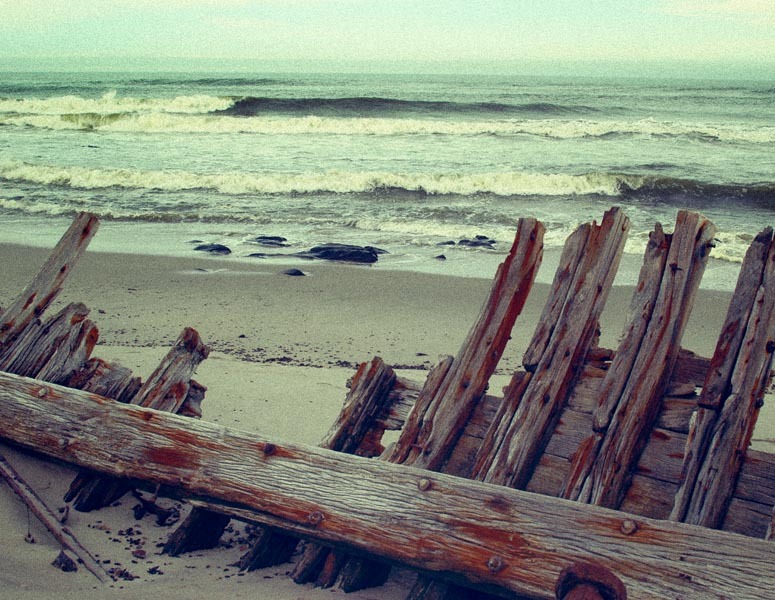 Exploring shipwrecks on a sandy beach – another way of playing in the sand. Whether it’s a long, lazy walk along a sandy beach, a day exploring shipwrecks half-buried in the sand, or an afternoon spent on hands and knees, nose almost in the sand, studying your local coastal fauna and flora, whatever rocks your world, it’s all good. However you manage to get away from it all and get some sand between your toes, I hope you have a great, relaxing Saturday.